I enjoy modern art…but I’m not an expert….I just like to see it…to hear it… to experience it. I’m not sure why…I think I’m on a journey to figure that out. There is sometimes a child-like quality about it that I like. Not that it is childish, but often the artist let’s his/her inner child out to play. The modern artist often gets away with doing things that that normally would be considered crazy, audacious, unusual, way too wild in the daily work-a-day world. Has your imagination been numbed? co-opted? atrophied? ? 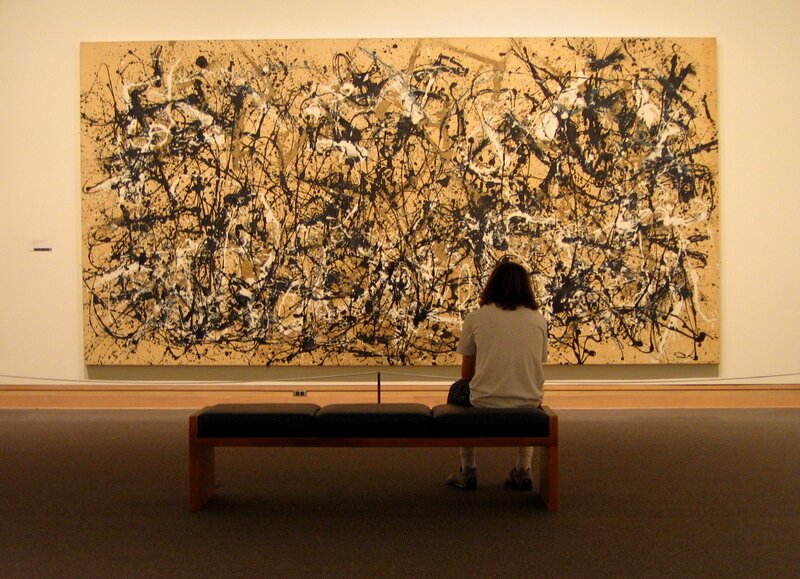 Go to a modern art museum and give it a work out…..I think we all have some “serious imaginative work” ahead of us. BTW, you may find me at a modern art museum this next week having a little work out. I liked this entry so much, I posted a link to it in my blog today.